Pandas, jaguars, white tigers: These are the kinds of exotic species we expect to see at zoos. But salmon? Guinea pigs? Why would a zoo choose to house such garden-variety animals? The answer lies in the evolution of zoos themselves. What began as a way for rich people to collect and showcase wild animals has grown into a vehicle for conservationism and education. And what better way to attract visitors—and commit them to your cause—than through animals they already feel a kinship to, and which are safe enough to see up close? Here, then, are 15 animals you might be surprised to find in a zoo. One of the easiest ways visitors can forge connections with animals is through children’s zoos, where young visitors can interact with domestic species such as the four male miniature Mediterranean donkeys that live on the Kids’ Farm at the National Zoo, in Washington, D.C (just across from their "Giant Pizza Playground"—they definitely know how to cater to the kids!). Children can actually pet these four-legged furry friends, all of which are around 14 years old and sport names like Giuseppe and Flash. Like children’s zoos, family farms allow children to experience domestic animals up close, while also giving the kids a lesson on where their food comes from. Visitors to Minnesota Zoo’s Wells Fargo Family Farm in Apple Valley, Minnesota, just south of Minneapolis, can learn all about milk production thanks to the farm’s small herd of cows, which includes this Jersey milking cow named Olivia. Visitors can watch Olivia and her fellow bovines being milked throughout the day; they can also pet the cows from outside their stalls while they’re eating. Mammals aren’t a zoo's only big draw—insectariums, which house insects and arthropods, are also popular attractions at many animal parks. The Monsanto Insectarium at the Saint Louis Zoo offers visitors a look at more than 100 bugs, including butterflies, dragonflies, and the common house fly! For some zoos, their bug collection can actually be the main event. The ZSL London Zoo offers kids the chance to stay overnight in its BUG House with its BedBUGS Sleepovers events. A big highlight of the evening? Seeing these small brown leafcutter ants walking back and forth along ropes, carrying leaves up to 50 times their own body weight. Recent design trends have seen zoos grouping animals by geographic location as opposed to species, and developing large, open spaces in which they can live as they do in the wild. The Oregon Zoo in Portland has devoted one such exhibit, Eagle Canyon, to two of the region’s most iconic animals: the bald eagle and the coho salmon. Like its exhibit-mate, the coho salmon is listed as a threatened species in some areas, thanks to overfishing and logging, making its inclusion in the Oregon Zoo all the more important. Sometimes a zoo’s inhabitants can aid in the conservation of another species altogether. Staffers at the San Diego Zoo and its parent company, San Diego Zoo Global, have been experimenting with the relationship between burrowing owls, now at risk, and California ground squirrels. 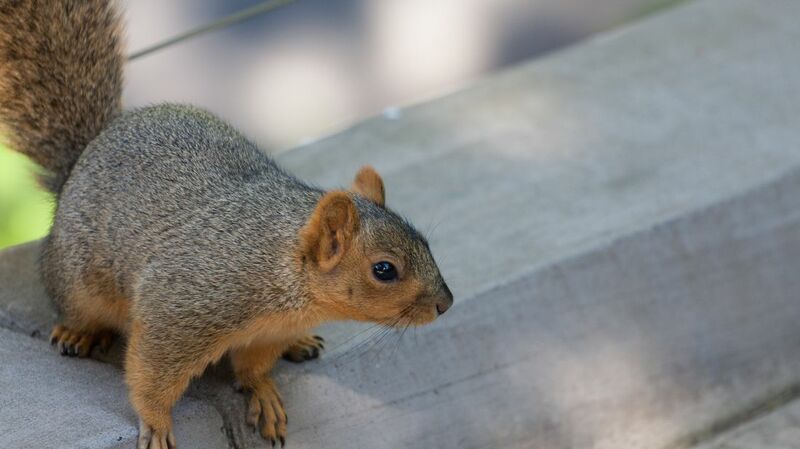 Noticing that the owls sometimes nested in vacated ground squirrel burrows, the zoo released 350 of its squirrels into the surrounding areas, as part of a long-term plan to rebuild the local owl population. Why keep this ubiquitous pollinator at a zoo when you could easily see it in your backyard? Because bee colonies are on the decline, thanks to pesticides, global warming and a strange phenomenon called Colony Collapse Disorder. The new hives established and maintained at the Cincinnati Zoo push back against this alarming trend. They even have their own beekeepers—made up of zoo staff and volunteers—called Pollen Nation. Although their inclusion at the Greater Vancouver Zoo isn't as exotic as the Eurasian Lynx or the Sugar Glider that also live there, the raccoons housed at the zoo illustrate a major service modern zoos provide: sanctuary for animals in need. These particular raccoons were originally orphans, and were adopted by the GV Zoo from another facility that lacked the room to keep them. The trumpeter swan is one of nature’s best comeback stories: Hunted to the verge of extinction in the 1930s, it gained protected status and has since regrown its population to healthy levels. With its habitats now under threat thanks to the destruction of the wetlands, parks like the Maryland Zoo in Baltimore play an important part in preserving this graceful creature once again. Five trumpeter babies—the zoo’s first—just hatched this past May; once they’re a year old, they’ll be released into the wilds of Iowa, which has been rebuilding its swan population for the past two decades. Visitors to New York's Bronx Zoo can’t pet or feed the Black-Tailed Prairie Dogs on display in its Children’s Zoo, but thanks to an ingenious exhibit, they can still view them up close and personal. Tunnels pass under the exhibit and end in glass tubes that pop up throughout the prairie dogs’ burrows. Wide enough to fit two or three young zoogoers, the tubes allow kids a rodents’-eye view of the animals in their natural habitat. It’s not just kids who can learn things at children’s zoos. Aspiring urban farmers can attend zookeeper talks on owning and raising chickens at the Cheyenne Mountain Zoo in Colorado Springs, Colorado. Not to be left out, younger visitors can hand-feed these farmyard favorites in the zoo’s My Big Backyard exhibit. One of the more common fish to end up in your local supermarket, tilapia are a highly valued member of the Calgary Zoo’s ecosystem. The zoo populates its indoor hippo tank—the largest in North America—with these fish, which are often found swimming around the aquatic mammals in their natural African habitat. In captivity, the tilapia act as natural tank cleaners by feeding on the hippos' waste. Homesick urban tourists may well be cheered by the domestic pigeons housed at the Zoo Vienna in Austria. Although the birds congregate in coops rather than on, say, public monuments, visitors can still get their birdwatching fix via the public pigeon feedings the zoo offers every morning. A giant burrowing cockroach—large cousin to those nasty bugs you’ve seen skittering across the kitchen—makes for part of the Backyard to Bush exhibit featured at the Taronga Zoo in Sydney, Australia. The exhibit’s purpose is to educate children on all the animals—creepy and crawly as well as furry and cuddly—they might come across in everyday life. These rodents, which make popular pets back in the States, provide Japan’s Nagasaki Bio Park with one of its best attractions. When it's time for the guinea pigs to retire from the petting zoo to their private nest, zoo staffers lay down a wooden bridge that allows the fluffy animals to walk home. Visitors can catch this guinea pig commute every afternoon.